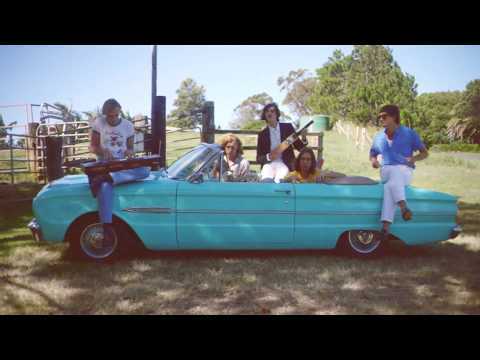 Parcels follows an eclectic thread from The Beach Boys and Chic through to heroes like Steely Dan, all the while blending elements of electronica, funk and tirelessly-drilled live musicianship into classic but contemporary pop. The group also has a maniacal taste for perfection when it comes to production, composition and arrangement, with a live show so accomplished that Daft Punk offered to work with them on the spot--the first time the legendary duo have chosen an emerging act to add to their list of collaborators. The twelve tracks on Parcels' self-titled debut album were self-produced and written by the band in Berlin. The album was released to a torrent of unanimous praise, surpassing 75 million streams globally to-date--including over 8 million views of their gorgeous, cinematic music videos--and, over the past year, have gone on a monumental global headline tour including festival and sold out dates throughout Europe, Australia, Japan, and North and South America. April 10, 2019 Arguably the finest electro-pop five-piece based in Berlin, Parcels is reviving their 2018 debut self-titled record with a cinematic visual. April 10, 2019 Have you made your Coachella schedule yet? This should help. June 23, 2017 20 tunes for the first weekend of summer 2017. Los Angeles, going to have to love you and leave you. On our way to LAX.